Remediation of cadmium (Cd) from contaminated soils is considered a complicated task of environmental safety. 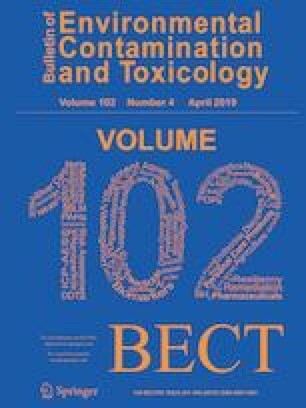 A column leaching experiment was planned to estimate the influence of biochar (BC), zeolite (ZE) and steel slag (SL) at 1.5% and 3% application rate on Cd leaching behavior and chemical fractionation in contaminated soil. A sequential extraction procedure, the European Community Bureau of Reference (BCR), Toxicity Characteristic Leaching Procedure (TCLP) and NH4NO3 were performed after leaching was completed. The soluble portion of Cd was decreased by 36.3%, 18.4% and 28.7% and Cd contents in leachate were decreased by 44.8%, 30% and 31.3% after BC, ZE and SL addition at 3% rate, respectively over control soil. The greater reduction in TCLP extractable Cd was observed by 29.6% with BC and 22.4% with ZE and 25.7% with SL at 3% application rate. Overall, biochar can be considered an efficient soil amendment to reduce Cd leaching as well as increased its stabilization within soil profile.